Turned the toaster oven on broil and charred this baby. 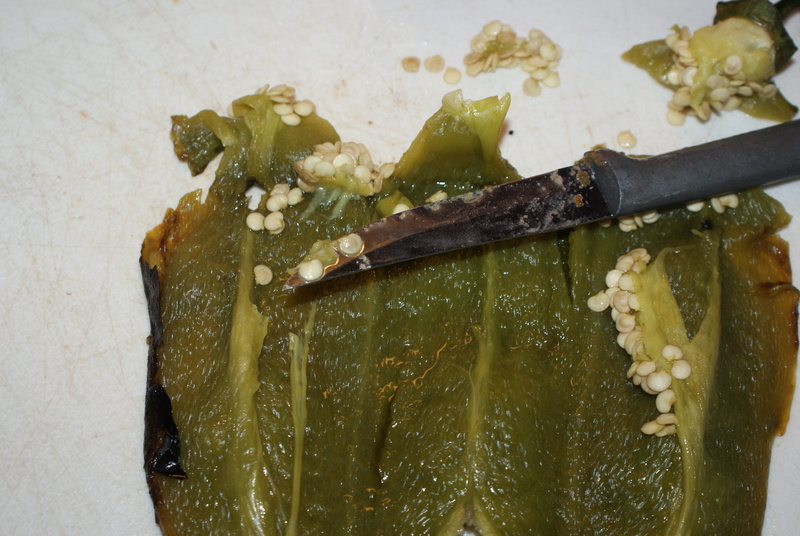 A few things to remember here, when you hear loud fireworks coming from your kitchen…fear not, it’s just the outside of the poblano pepper charring. Another thing I learned is that broiling them in the toaster oven for like 20 minutes is WAY easier than trying to char them on the gas stovetop. While I love chatting with my mom whilst cooking, it was so much less enjoyable contorting my hands as a makeshift spit to turn the poblano constantly. Next, I peeled off the charred part, scraped out the seeds and cut the top off, adding the chopped pepper to my food processor. To it I added my salsa additions: cumin, cilantro, lime juice, TONS of garlic, half a chopped Chipotle pepper, a few dashes of adobo sauce from the Chipotle can, some extra virgin olive oil, two cherry tomatoes (rando but all I had) some red onion and pureed it all up with some salt n pepp. 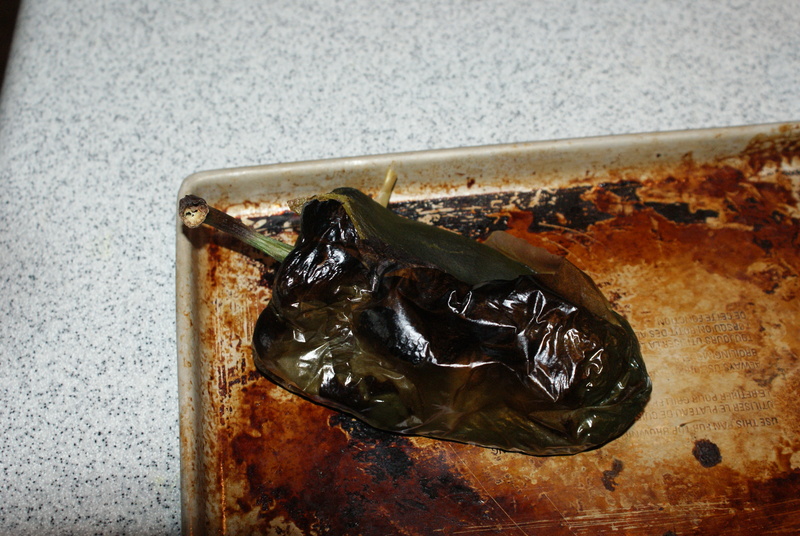 After mixing, it was still a little too smooth bc the poblano is such a mild pepper. 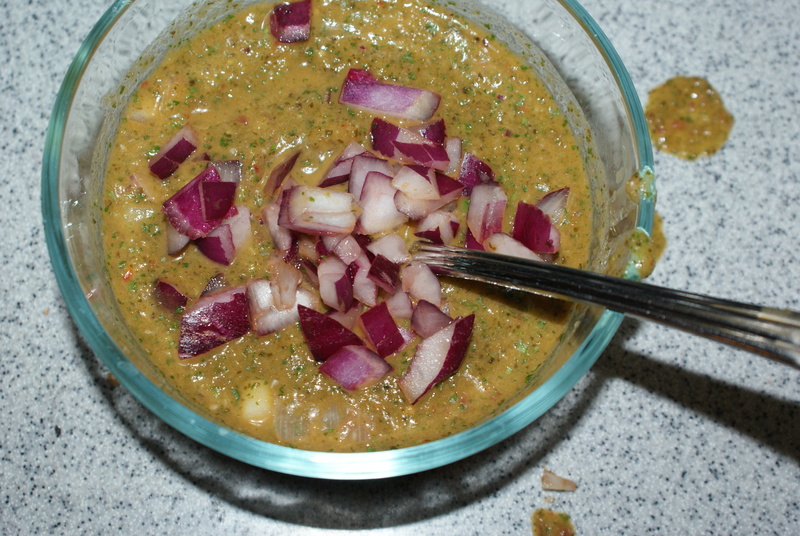 To it I added some chopped red onion to give the salsa a little crunch bc that’s how I like it, but that’s the beauty of salsa, it can be adjusted easily to your tastes! 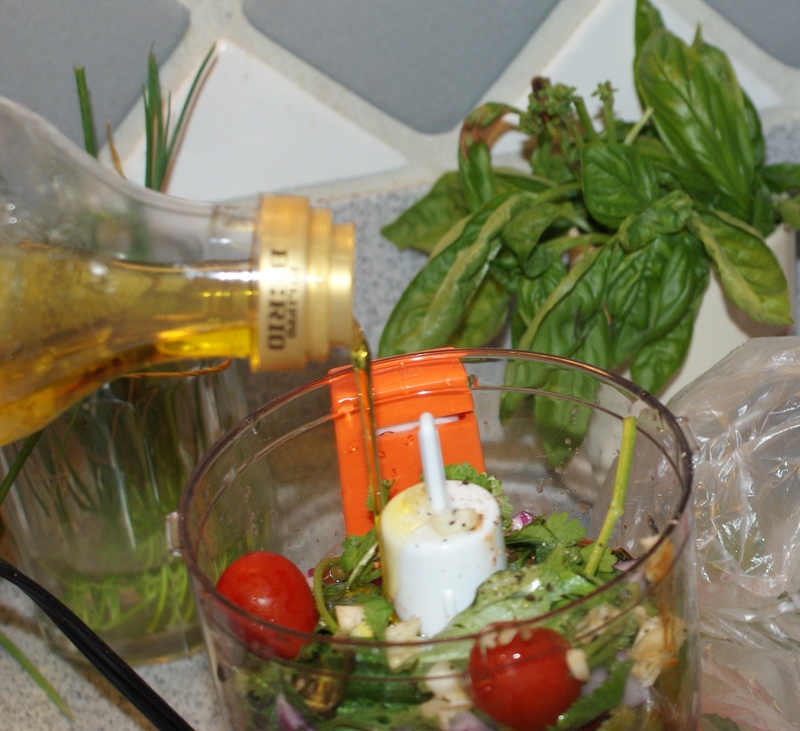 Per usual, this kind of dip tasted better after having some time to fuse flavors in the fridge for a few hours.